Zia Search - A unified search app for Zoho. 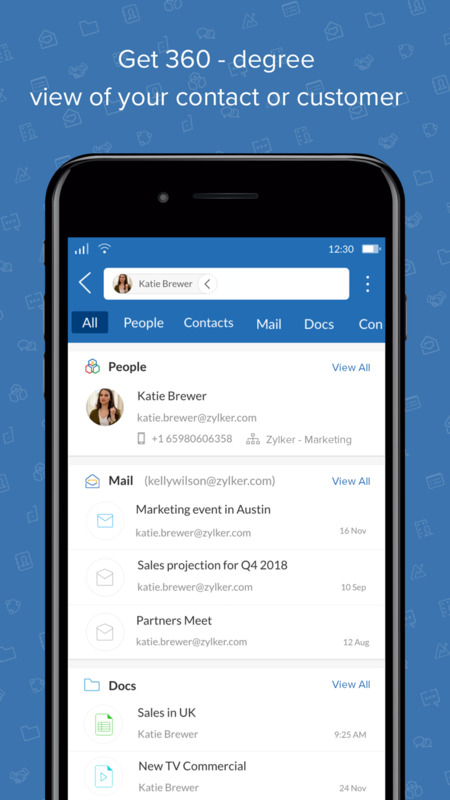 With one search, Zia can fetch you results from CRM, Mail, Desk, Contacts, Documents, Cliq, Connect, and other Zoho apps. No more switching between multiple apps to find relevant information. - Find the information you need, no matter which app it's in..
- Powerful relevance algorithm brings the most relevant results to the top, even when you have a typo in the query. - Narrow down your search results with fine-grained filters to find relevant information quickly. - You can save the search queries you use frequently. Using saved searches, you can create different custom views like my department tickets, my leads, or shared documents from a colleague. 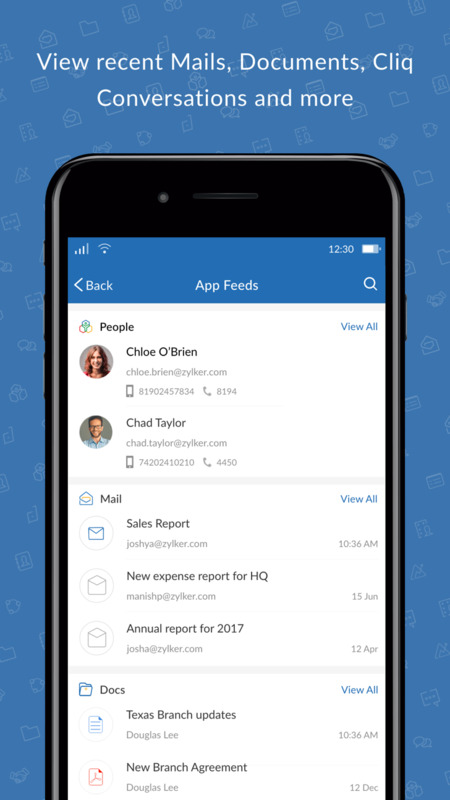 - Make a phone call to your contact, reply to an email, start a chat conversation with your colleague, and more, without switching apps. - Reorder app results, exclude certain apps from your search, edit saved searches, disable result highlighting, and more. If you have any questions or suggestions, please reach out to us at support@zohosearch.com.